OWP, which stands for Optische Werke Passau, launched in Germany in 1947. 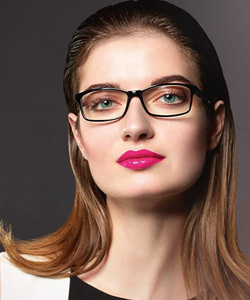 The company has since established itself as one of the leading innovators in the eyewear industry. With substantial dedication and investment in product development, technology, logistics and service, OWP has succeeded in creating eyewear of the highest quality. Using creativity to find innovative solutions to problems, OWP executes new ideas and visions to constantly help customers achieve peak performance with contemporary eyewear collections. Striving to achieve the highest measure of esthetic and functional quality, OWP develops and uses the most advanced technology and materials available. OWP eyewear takes design, technology and quality to a new level. Crafted for those with sophisticated standards, who appreciate quality, OWP eyewear is designed to deliver a safe and superior product.